We make available the optimum quality Steel Tube Fittings to the clients. 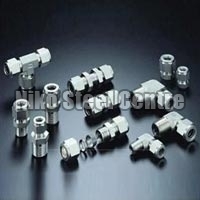 These Steel Tube Fittings are procured from reliable vendors in the field. We make available the Steel Tube Fittings in wide range of sizes and in different types meeting the diverse industrial demands. 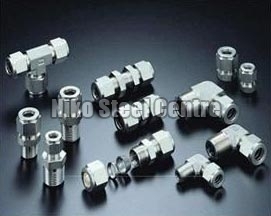 These Steel Tube Fittings are made using high quality Stainless Steel and are highly resistant to corrosion. Types : Socket weld (Forged): - Connectors, Reducers, Union, Tube Caps, Adapter, Branch, Elbow, Tee, Tube Ferrule, Reducing Elbow, Reducing Tee, Tube Plug, Reducing Union, Union Crosses, etc.